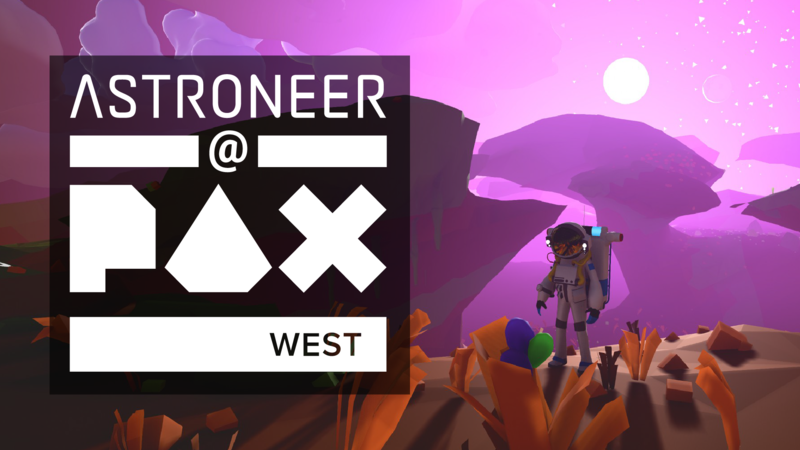 Although Astroneer won’t have any official presence on the show floor while the team is heads down working, we do have a few things going on since PAX West takes place in our hometown of Seattle! Here is the full schedule of places you can catch members of the team. Hey everyone! I’m Veronica, producer at System Era, coming to you live with my very first blog post. Adam here. 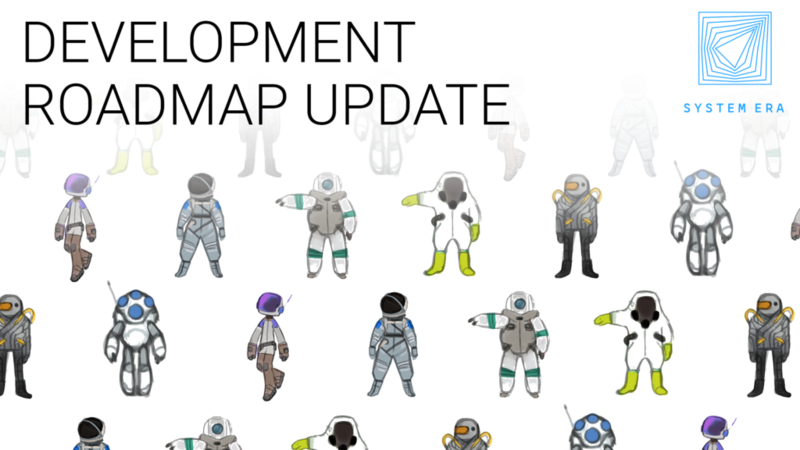 Any time System Era updates Astroneer, we spend some time doing a post-mortem of how things went. 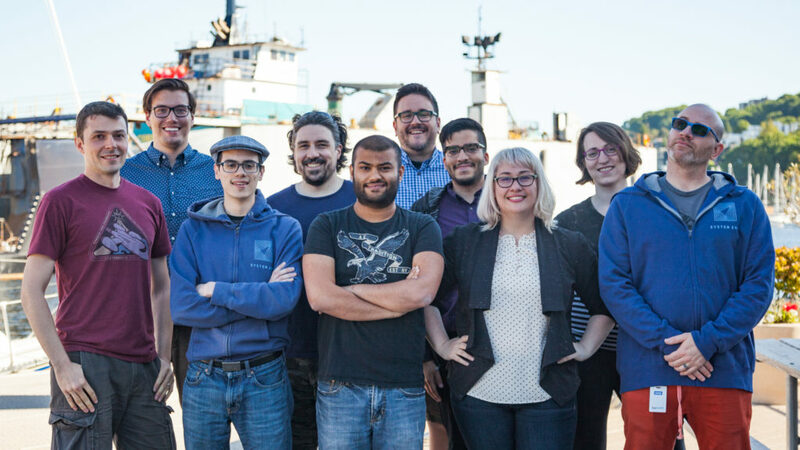 I thought since we are at the six month mark, I could look back and call out the stuff we did really well, what we could have done better, and what is happening next. 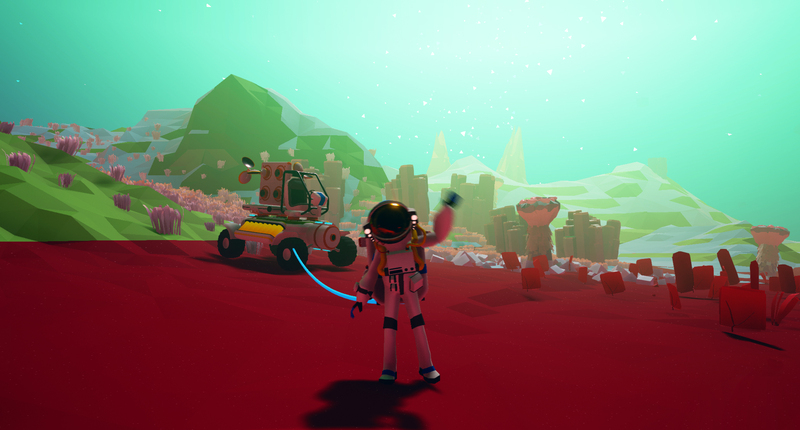 Astroneer is in a great place, but that doesn’t mean we don’t have areas that we can improve upon. 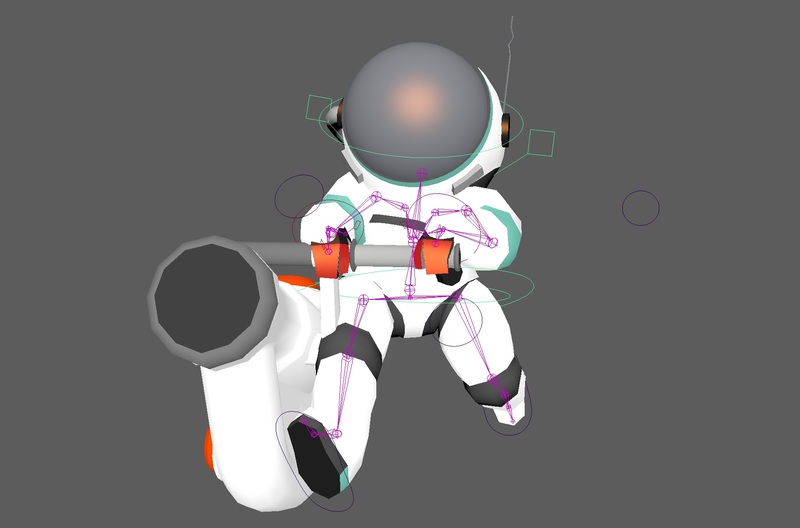 This week the team wanted to do something a little different, and give a behind the scenes look at our #screenshotsaturday post. This week’s visual comes straight from the screen of Gene Blakefield, System Era’s resident animator. 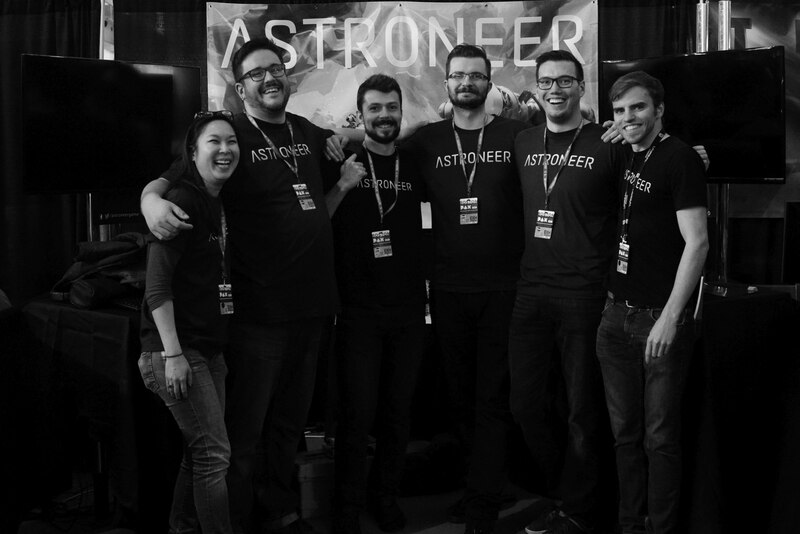 On April 15th, a mistaken notice was sent out about a Steam Daily Deal that discounted Astroneer. The discount was then ended early. This was the result of an unfortunate series of communication failures, entirely our fault, and compounded by the turmoil of tragedy on the team in the last month. For this, we deeply apologize. Regardless of how things happen, it’s supposed to be our job that they happen the right way, and that our customers are never misled. We feel that we lost the trust of some of our fans, and that trust is what we value most. In general, our communication about game discounts hasn’t been nearly as good as it should be. It is our promise that from now on, all discounts will be clearly announced through all our communication channels, and once a sale is announced, it will never be modified or canceled. In the mean time, we’ve reached out to Steam to discontinue any advertising of this sale that may still be public. Third from the right, Paul Pepera. Yesterday, March 27, we very suddenly lost our partner and dear friend Paul Pepera. System Era is in mourning today. Paul’s family has traveled to Seattle to make appropriate arrangements. They have asked for privacy at this time. Many knew Paul in this industry as an artistic tour de force. His talent left an imprint on this game industry that inspired countless others. He was one quarter of our founding team, and a boundless source of inspiration and beauty. Most of all to us, he was a warm and compassionate close friend. Somewhere, maybe a star burns a little brighter. Safe travels, Paul. We miss and love you.